Insurers need actual notice to require a duty to defend. If you are an insured and you have been served with a lawsuit the first thing you need to do is notify your insurer in writing. If you fail to notify your insurer you will have to prove to the court that you had a good faith reason for the failure. This is becoming harder and harder to do. Great American Ins. Co. v. C.G. Tate Construction Co., 315 N.C. 714 (1986). See also Kubit v. MAG Mutual Ins. 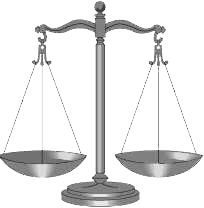 via We recommend four for Court of Appeals – CharlotteObserver.com. In King v. Beaufort County Board of Education, the N.C. Supreme Court reversed the Court of Appeals’ decision, which upheld the trial court’s judgment in favor of the defendant-school board. The Plaintiff was a sophomore in high school. She was involved a school fight and suspended for 10 days. The principal then recommended she be suspended for the remainder of the school year. She appealed the decision. The Court held that in NC there is a statutory but not a constitutional right to an alternative education. The Court reviewed the conduct of the school under the intermediate scrutiny standard. Under the state intermediate-scrutiny standard, school administrators must provide an important reason for denying students access to alternative education. State law requires local boards of education to establish at least one alternative learning program and to create strategies for assigning long-term suspended students to it when feasible and appropriate. G.S. § 115C-47(32a). Since the General Assembly has chosen to grant this statutory right to long-term suspended students, school administrators must provide a reason to the student for excluding the student from an alternative learning program. In King, the school failed to provide a reason for the denial of an alternative learning program. 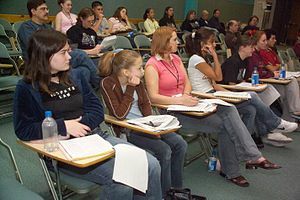 The Court held that the school must provide a reason for excluding the Plaintiff from an alternative learning program and that a failure to do so does violate the Plaintiff’s constitutional rights. Governor Beverly Perdue appointed Judge Cressie Thigpen to fill the vacancy created by Judge James Wynn’s appointment to the Fourth Circuit Court of Appeals. Because the vacancy was created after the primary filing period but more than 60 days before the general election, an election for this seat will occur on November 2, 2010. For more information about the candidates and the voting process, see the NCBA’s flier at: http://www.ncbar.org/media/8254237/govAffairs_instantRunoffVoting_2010.pdf. The N.C. Court of Appeals makes clear it takes more than negligence of the employer to meet the standard for a Woodson Claim. 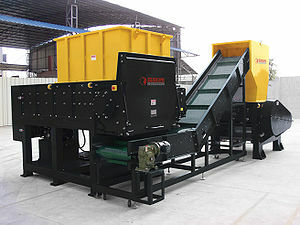 In Valenzuela v. Pallet Express, Inc., the Court upheld the trial court’s granting of summary judgment for the defendants, finding that the estate of a teenage boy who was killed while operating a shredder could not state a Woodson claim for negligence against his employer, even though the decedent was too young to operate the heavy machinery and a safety guard had been removed. The Court reasoned that there was no evidence that the employer knew its actions were substantially certain to cause serious injury or death. The North Carolina Defense Fund, the political action committee of the North Carolina Association of Defense Attorneys endorses Ann Clabria, Jane Gray, Mark Klass, J. Douglas McCullough, and Richard Elmore for the North Carolina Court of Appeals. The North Carolina Defense Fund endorses Robert Hunter, and Barbara Jackson for the North Carolina Supreme Court. 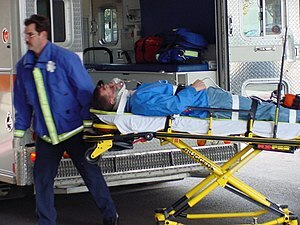 The N.C. Court of Appeals in Alston v. Granville Health System, recently issued an opinion finding that a claim of negligence where the unconscious patient fell off a hospital gurney is proper under the doctrine of res ipsa loquitur.